The PR business is certainly one business that has seen a dramatic change in the last decade. It, therefore, seems apt, to ask PR professionals to take the #10YearChallenge. This is what they have to say about how the last ten years have affected public relations. James Kerr, vice president, global public relations & social media, FIS, rightly put digital at the forefront of most of the change in PR since 2009, saying, "LinkedIn, Twitter, Facebook and YouTube present exciting opportunities to communicate the company’s story in creative new ways while engaging directly with communities. At the same time, these channels present new brand reputation risks and must be actively monitored and cultivated." Personally, Kerr has seen a big career development when he became the global head of PR and social media for the financial tech giant FIS three years ago. Shilpa Sanghai, senior image manager, Perfect Relations, agrees saying this had led to, "Integrated marketing, especially for consumer-facing brands. I have seen brands now having a single campaign broken into capsules to be rolled out in various platforms and leveraging various agencies to do so. The purpose of this is to drive an effective narrative whose value can be measured." Constant learning has been an accelerated demand for PR pros in the last decade.
" 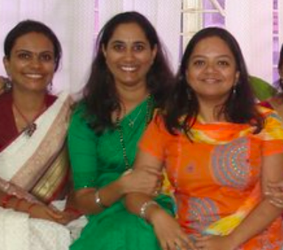 The biggest change was moving geographies when I moved from Bangalore in India to Dubai which was a truly multicultural environment with colleagues who were from many different nationalities. Unlearn, relearn took on a completely different meaning as I had to very quickly upskill myself if I wanted to be successful. I had the exciting opportunity of working with ASDA’A BCW and other agencies during my time there." shares Vikas Prabhakar, enterprise practice head and branch manager, Bengaluru, H+K Strategies. At a personal level, Prabhakar says, " Not only did I move geographies, but I also got married and I am now the father of two lovely kids. My skills in prioritising and stakeholder management have truly been tested!" The nature of a brand crisis has completely changed over the last 10 years. 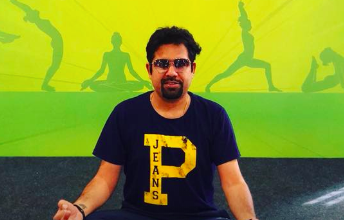 Amit K Nanchahal, (pictured right at a yoga camp) a senior corporate communication professional with a leading ridesharing firm manager, says, "Crisis has become mainstream. Brands can no longer keep themselves aloof from it thanks to social media. Over the last 10 years, social media has given power to consumers to reach out to companies more easily, making them more capable of inflicting damage to a brands reputation. As PR professionals we don't only have to engage with journalists but also a new breed of journalists - 'The Citizen Journalist'." Nikunj Kewalramani, PR Lead, Freshworks, confirms Nanchahal's point saying that "With 'citizen journalism' and video and audio content platforms PR professionals have plenty of channels, they have started thinking out of the box, to use multi-channels to communicate. The negative impact of this change is the increased share of paid media and an influx of fake news." Believing that this demand will need her to bring her A game, Venugopal, went back to the classroom and picked up a course in management from IIM-Bangalore and also trained in neural linguistics in order to up her listening skills. 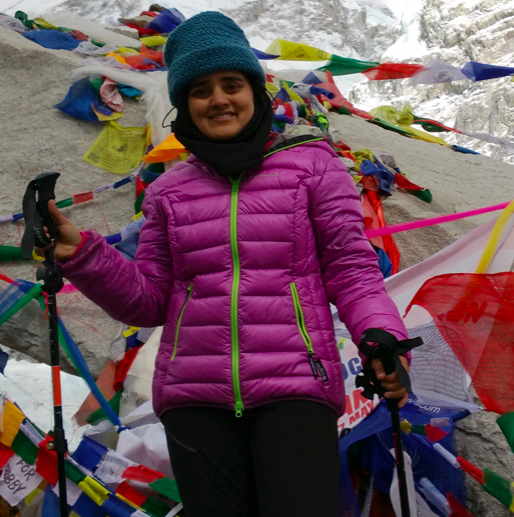 Prerna Arun, head-communications for India, Nepal & Bangladesh, AkzoNobel, has managed to strike off the daunting Kailash Mansarovar Lake and Everest Base Camp trek (pictured right at the Everest base camp) from her bucket list in the last decade; she says that by 2029 we would see, "Use of AI in PR increase significantly. Also, I foresee many Indians from the PR fraternity will make their presence felt on a global landscape." Inspite of a sharp rise in tech in PR, the basic media -PR relationship still remains troubled. Sanghai, says she would like to see " More efficiency towards news distribution. I would be happy to see if there is some progress on this front where we can have various beats and journalists mapped out effectively and an automated system to have releases delivered to them both in their mailbox and via text message. Sanghai adds, "Press releases could be mapped against keywords so that the media is not spammed unnecessarily, and they get emails which are relevant to them. Maybe PR could also use some diving into the huge database pool we have for media and build some insight and predictive analysis." With influencer management becoming a big chunk of the stakeholder engagement strategy, some of this is already happening with firms such as Cision and Prowly. Nanchahal, says optimistically that, "PR will replace marketing as the single most important communication function with crisis management playing a key role. Digital media will rule the throne. Print and electronic will play second fiddle." Raghavendra Rao, partner & CEO Bernay IMC, who has moved from being an employee to being an employer in the last decade, offers further analysis of how traditional media will perform. He says, " One can’t write off traditional media With literacy levels rising in India, regional readership and therefore print, will continue to impact the smaller towns. There is not much effort going into making rural India digitally strong as even today there are bandwidth issues which need to be addressed. Rural India has also shown slow growth in digital literacy. Television is still popular means there to entertain. Therefore print and electronic media will continue to grow rural India for the next decade. Kewalramnai predicts that, "PR in the next 10 years will become the poster boy of the marketing function. PR professionals have the ability to bring much value addition to the table." All this means says Nanchahal wryly, he will be sleeping less in the coming years!